How can we use therapeutic oils during the season of Leo – late July to late August – and what are the best essential aromatherapy oils for Leos themselves? We look to the stars – and ask Natalie Delahaye – for answers! Natalie is a consultant astrologer who developed her learnings with the Faculty of Astrological Studies, and has been published internationally and commented on the Royal Family’s personal astrology on CNN World news! Essential Oils For Leo Season! In this post, we’ll explore the essential oils that have a healing and balancing effect on Leo: Neroli (orange blossom), Benzoin and Basil. Neroli is an oil that is suited to personality types who over-dramatize and like to be the centre of attention, perfect for Leos, especially during the high drama eclipse month, during which they play a starring role. This classic anti-stress, heartwarming flower, enhances creativity. Neroli is an exquisite oil that can be worn simply as a perfume, too. Mixing a tablespoon of a massage base oil with 2 drops of neroli to create a fragrance for Leo. Benzoin is an oil that resonates with the Sun, making it a perfect choice for Leo. Like the Sun, it Is heating, drying, energising, uplifting and euphoric. Melt away all your troubles of the day by immersing yourself into a warm bath with a few drops of benzoin. Massage your solar plexus and chest in a clock-wise direction with 2 drops to your base oil. Fire sign Leo can benefit from the balancing effects of refreshing basil: diffuse some basil in your work space to increase mental alertness and at the same time, calm the nerves. 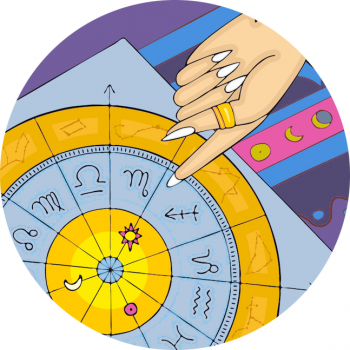 Being a fixed sign, Leo can suffer from stubbornness and can find sudden change, difficult. Basil is an oil that give Leo the courage, adaptability and focus to overcome obstacles and to move forward in life.